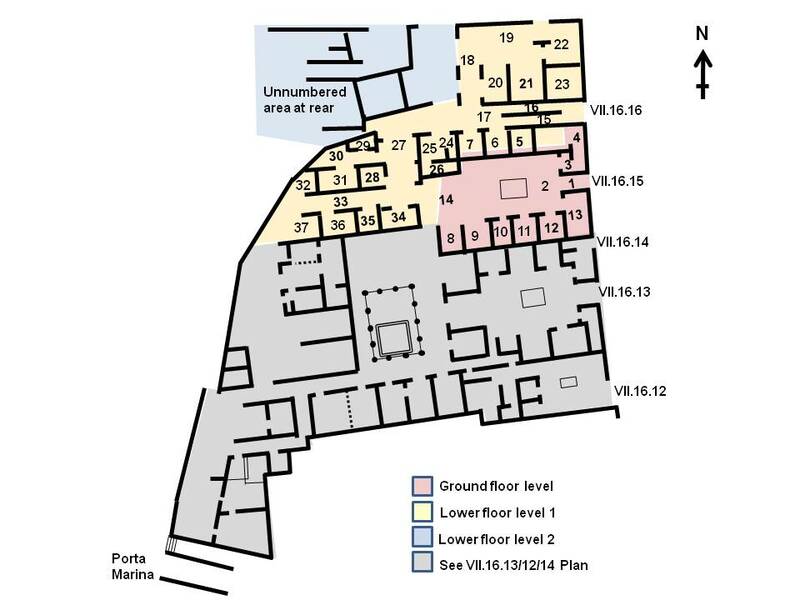 We have updated the pages on www.pompeiiinpictures.com for all the houses making up the House of Umbricius Scaurus and added two plans. 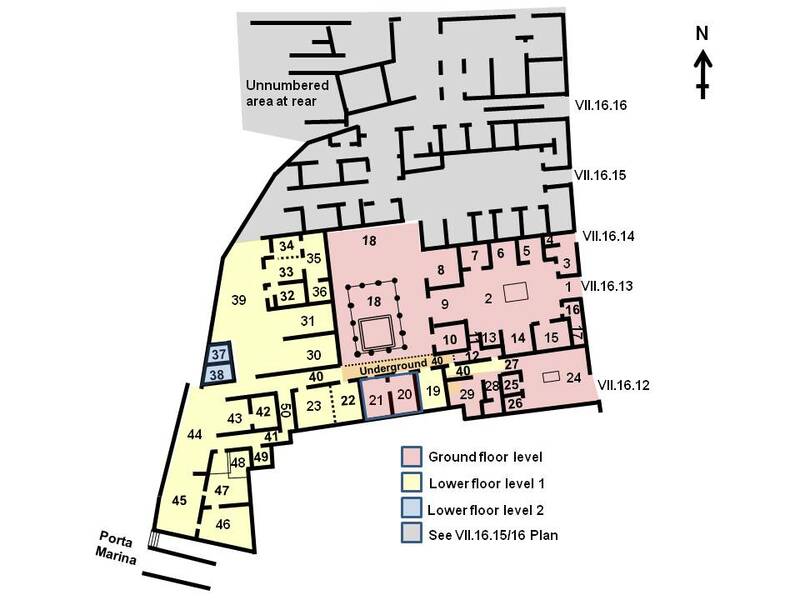 The first plan is of VII.16.13/12/14 with rooms numbered from 1 to 50. 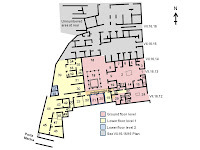 The second plan is of VII.16.15/16 with rooms numbered 1 to 37. The numbering is based on that used in PPP (Bragantini, de Vos, Badoni, 1986. Pitture e Pavimenti di Pompei, Parte 3. Rome: ICCD), which splits the houses into two numbering groups. We have also based our plans on that in PPP and have verified them against our photographs and made small updates to them. The three different levels of the house are colour coded so you can tell which level a room is on. 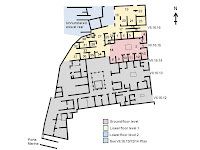 The photographs have been room numbered in line with the plans and there is also an indication in the text of which of the three levels of the houses the rooms shown are on. They have also been enlarged. We hope these are the most comprehensive plans generally available. If you know of any better plans we would love to hear from you. We hope that teachers and students find the new web pages and plans useful.